2pm: Gates open for early arrival. Camping Thursday night is $25. 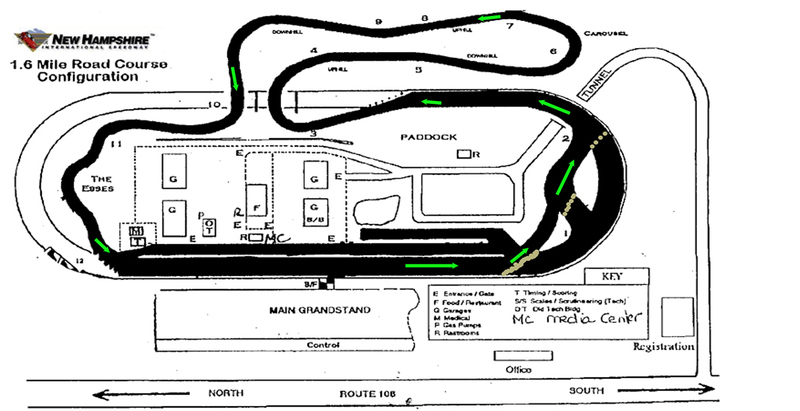 9am-5pm: NHMS-organized track testing. Contact NHMS directly for details. Noon-5pm: Mandatory Friday tech inspection. Every car and at least one driver per team must be present for Friday tech. No Saturday tech will be offered. 5:15pm: Rookie Meeting, in tech garage. No firearms or fireworks may be used on track property. No"razor"-type scooters allowed ever. 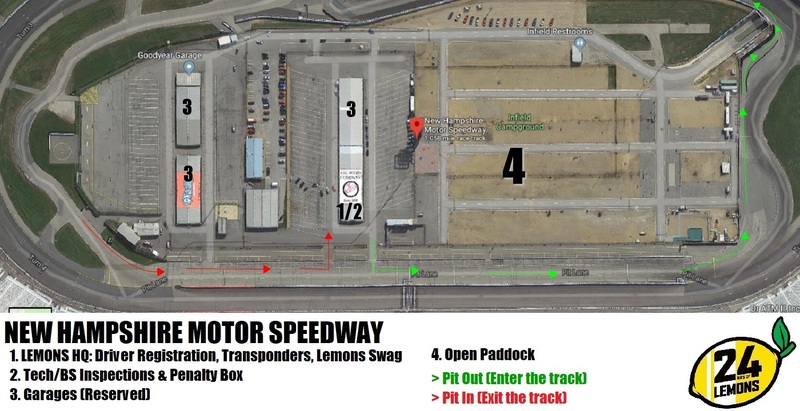 Also, operators must have a valid street license and pit vehicles can be used only in the infield areas. In order to exit the tunnel, pit vehicles must be licensed, or carry a specific certificate of insurance that covers NHMS and is worth more than your house. Garages: You will be able to reserve an optional rental garage through your online team page. Stay tuned for the email announcement--garages will be made available after the payment deadline, and will only be available to paid teams. Garage pricing will go up $20 for every garage related email we receive prior to the announcement. Fuel sold on site: Yes. 93 octane minimum.